I love, love, love Greek yogurt. I love the texture & I love the slight bitter twang that you experience when you eat it. I am not a huge meat eater so finding an excellent protein source is like finding a gold mine for me. I have tried almost every type of Greek yogurt available and my favorite is Chobani's Pineapple or Pomegranate flavors Chobani Yogurt. However, today I had the opportunity to try the Laura Lynn Nonfat Blueberry Greek yogurt. It is just as delicious as the Chobani brand yogurts and I would probably say I liked the consistency a little better (not as thick). Laura Lynn is the Ingles Markets brand product and for those of you who have an Ingles Market around you, an excellent, cost-efficient alternative to paying for name brand food items. See if there is an Ingles near you: Ingles Markets. If not, check and see if your local store has an alternative brand product to compare. Why is Greek yogurt so popular now? 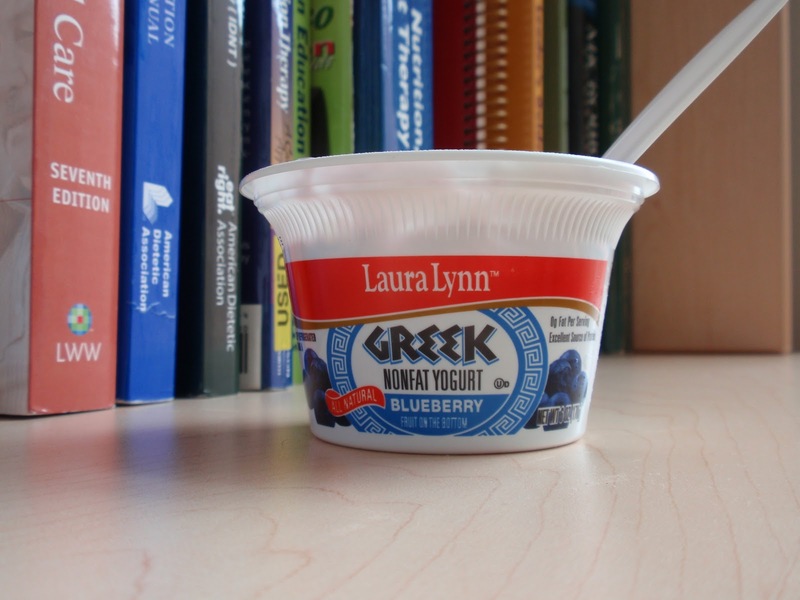 Most Greek yogurts are low-fat or non-fat, packing a lot of hunger-satisfying protein into a lower calorie food option. These yogurts often contain probiotics, which help to encourage a healthy gut, therefore a healthy immune system. Additionally, they contain a good dose of Calcium (this particular yogurt had 15% of your daily value). Some people argue that they are too expensive. Since the high amount of protein in the yogurt keeps you satisfied for a longer period of time, you can combine it with a 1/2 a cup of a nice fiber-containing cereal (such as Fiber One) or put some extra fruit in there for a low-calorie, easy breakfast. In fact, I bought this yogurt for $1.00 on sale. Leave the saturated fat and grease at the dollar menu and pick up a Greek yogurt today! The clarity in your post is just nice and i can assume you are an expert on this subject.The above articles is pretty extraordinary, and I really enjoyed reading your blog and points that you expressed. The Choice is Yours...Fast Food on the Go! Can I lose weight without exercising? I am so happy to be here!